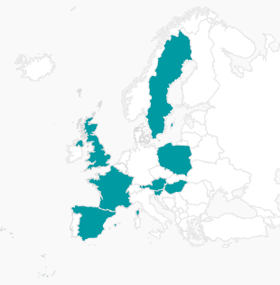 The AGENTA consortium involves 9 partners among which seven partners have already collaborated during the last years within the framework of the worldwide National Transfer Accounts project and in particular through the European NTA Project. The coordination of the project will be carried out by the Vienna Institute of Demography of the Austrian Academy of Sciences (OEAW-VID) with Alexia Fürnkranz-Prskawetz acting as the Project Coordinator assisted by a Project Management Team. The project will avail itself of the expertise and support of the Scientific Advisory Board (SAB) comprising international experts in the topics covered in the project. The scientific coordination will be carried out by the Project Steering Committee comprising all work package leaders and the project coordinator. 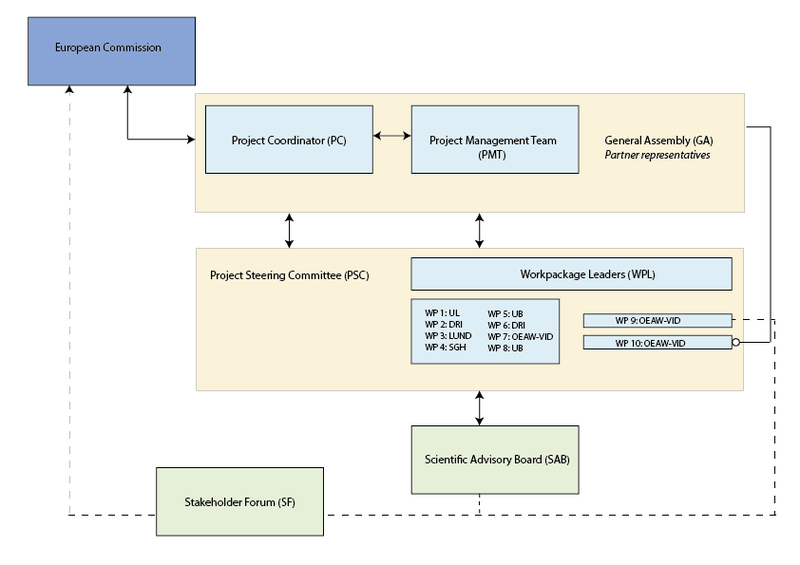 The General Assembly assists on the administrative implementation of the project and decides on any changes of tasks or work packages that may occur. It includes one representative of each participating institution and the management team of OEAW-VID as well as the project coordinator. The Stakeholder Forum will help to communicate and disseminate the results of the project to the public.